A new global study has accused the world’s biggest tobacco companies of using paid social media stars to smoke their products in Instagram posts in an attempt to lure younger people to take up the habit. The study titled Where There’s Smoke claims the tobacco giants Philip Morris International, British American Tobacco, Japan Tobacco International and Imperial Brands are subverting tobacco advertising laws to try and make smoking look cool to impressionable young people. 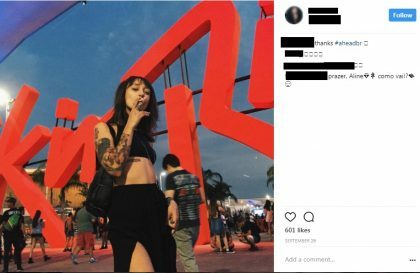 It sights British American Tobacco’s Instagram page that has 400 influencers and goes to 33 countries, including Australia, that regularly show images of young, cool looking people with cigarettes. The authors of the study argue the tobacco companies are using influencers to circumvent Facebook, Twitter and Instagram’s strict policies that don’t allow for tobacco advertising. Instead, the tobacco giants tell their influencers not to include “#ad” or “#sponsored” in their posts which avoids being picked up by social media filters. The posts use subtle campaign hashtags such as #likeus or #nighthunters which are actually campaigns by the tobacco firms. The posts then include tobacco products in the images which the user can’t differentiate from an influencer’s own everyday content.